Olivier Rousteing wants his woman to do some serious battling with Tarzan's Jane and Xena Warrior Princess. And she would probably win, if only for being best dressed. This collection was less ornate than what we've come to know the label for, but it was no less crafted and sculptural. There was an armor-like sensibility to this collection, perfectly fit for an urban safari. The message definitely has global appeal... And as Axl said, welcome to the jungle. Barbara Bui, too, had the warrior woman on the brain. For at least part of her collection anyway: cool reptile prints, blown-up sleeves, the use of leather -- as she is known for -- was very armor-like and crafted beautifully to give it a kind of movement rarely seen with that particular material. One of the looks was studded from head to toe (I can't even begin to wrap my head around how heavy that must have been). But while some outings might have appearances of androgyny at first glance, it was incredibly feminine: flowing chiffon, plunging necklines, minier-than-mini skirts, thus giving tough-girl chic a brand new attitude. The show began with cream monochromatic oversized layers of coziness. I really, really liked it. 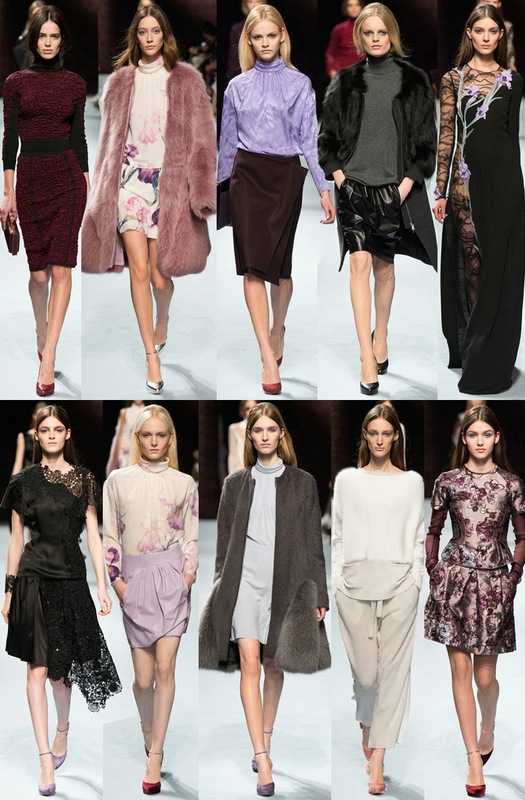 One of those it girl labels, Carven has brought us a 40s vibe for fall 2014 which gave the brand a more grown-up feel. It had a glam appeal that is not a typically Carven, but not at all in a precious way. Those thigh-high boots were quite delectable too. Oh my, Alber has regaled us this season! The soft-spoken man known for his gentleness, his love of women, fantasy and beauty, has outdone himself this time around. I repeat, oh my! It was feminine, as all things he pens, but it was at once sensual, young and fun, all while feeling more dark than usual. HIs imagination knows no bounds, that is crystal clear. When I think of Nina Ricci, I alway conjure up thoughts of unabashed femininity, intricacy, delicateness, softness and romance. Maybe that's just me forever associating the house with Oliver Theysekens' masterful hand and since he left, their ready-to-wear has seen its ups and downs. 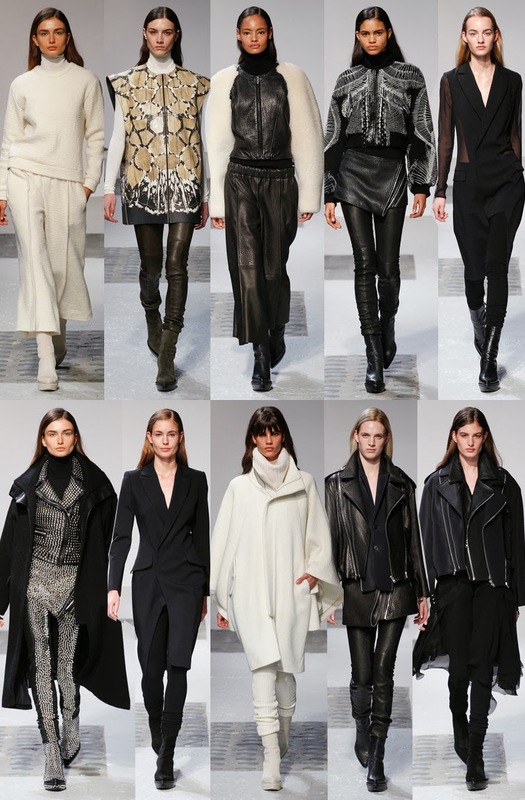 Well, for fall 2014, Peter Copping absolutely gave us a lot of that. It was breezy and subtle, and it felt really easy. Mostly, it was pretty and elegant, but above all, it indulged that certain fantasy that I long for in a Nina Ricci collection.